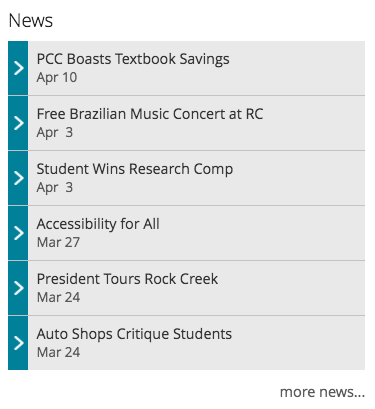 The news section of the homepage highlights content from the PCC News website. These listings provide a glimpse into the diverse activities and happenings taking place at PCC, and our involvement in the community. 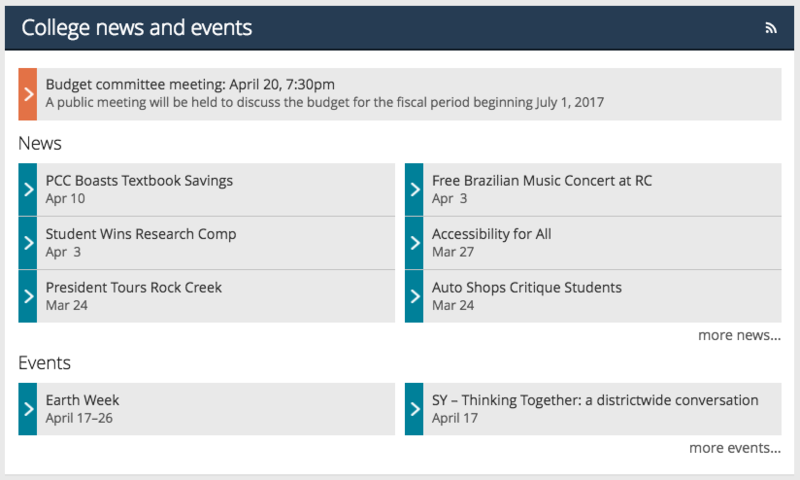 News items are listed in the College news and events section, between announcements (if present) and events. The news section usually includes six items, but can be updated to show more or less in order to match the height of the spotlights section. The listings include a publication date and title. A “more news” link directs readers to the PCC News homepage.